English Bulldog Mix Siblings - Need Fosters needs a caretaker or foster! Won't you consider helping him/her get a new start? Print an adoption flyer for English Bulldog Mix Siblings - Need Fosters! About Me: We are three littermates. Unfortunately, our Daddy is deploying overseas and our Mommy is having issues watching all of us plus the kids. Our Mommy and Daddy have decided it would be best for us to find new forever homes. We are siblings, but we do not need to be adopted together. We are very sweet and loveable. We like to play and can even play fetch! We also love belly rubs. Do you have a forever home for one of us? Currently we do not know if English Bulldog Mix Siblings - Need Fosters will be able to attend the event, Adoption Event on Sunday, April 5th, 2015. Currently we do not know if English Bulldog Mix Siblings - Need Fosters will be able to attend the event, Adoption Event on Sunday, April 19th, 2015. 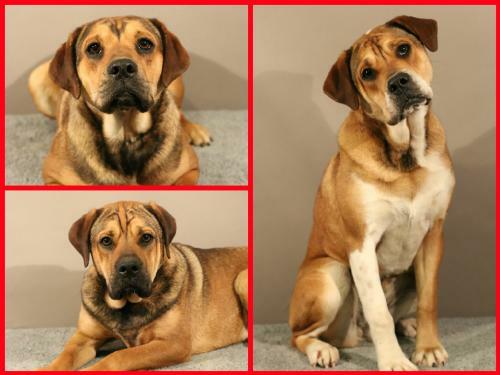 See English Bulldog Mix Siblings - Need Fosters's attendance information for future events.